India’s first 3G Mobile service operator Mahanagar Telephone Nigam Ltd (MTNL), toady announced ground braking 3G Video Value Added Services for its next generation mobile service subscriber of Delhi and Mumbai telecom circles in association with Shemaroo Entertainment Ltd, a leading Digital content provider. With the launch of new Video Value Added Services, MTNL subscribers will now be able to watch their favorite Bollywood and Hollywood Movies on ‘MTNL Movie Talkies’ service. It is specially tailored for the gen- next mobile customers to enjoy Mini Movies, which are 15 minutes version of a movie, edited smartly and comes with popular songs, important scenes and dialogues along with a narrator. The collection of movies covers different genres and languages. Few of the popular Bollywood movies available on ‘ MTNL Movie Talkies’ are Ishqiya, Namak Halal and Don. MTNL also introduces “Divine Prayers” which offers Live Prayers from all major shrines of India such as Shirdi Sai Dham, Kashi Vishwanath, Shani Shinegnapur, Ashtavinayak, Gurudwara PatnaSaheb, Haji Ali Dargaha (Mumbai) amongst others through the service called Divine Prayers. The service will broadcast LIVE feeds from shrines 24 X 7. 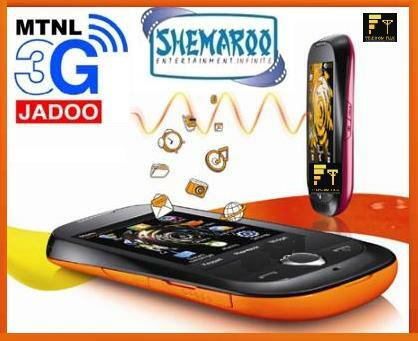 To avail the new 3G Video VAS, MTNL subscribers needs to make a 3G Video Call on the universal shortcode “58800”. The charges will be Rs.2 per minute. Presently the above service are available in Delhi circle and according to our exclusive sources in MTNL it will be launched in Mumbai by the end of this month. Apart from the 3G Video VAS, MTNL also launched The company also launched a Wapsite http://wap.shemaroo.com/mtnl. for 2G and 3G subscribers to downloads premium mobile contents on their mobile phones. 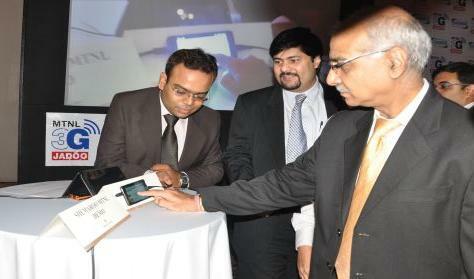 Mr.Kuldip Singh CMD, MTNL, Jai Maroo - Director, Shemaroo Entertainment Launching 3G Value Added Services. Speaking on launch of new 3G VAS, MTNL’s CMD Mr. Kuldip Singh stated “We, at MTNL, are committed towards providing latest technology & services at an affordable price to our subscribers. Inclusion of this kind of VAS service is not only an effort to expand our VAS bouquet but also a mean to provide the best experience to our subscribers”. I have MTNL 3G Prepaid Delhi customer. I am not able to send MMS to airtel and other service provider number. First they should provide MMS service to their subscriber.